1. Ski two resorts in one day—on one pass. Park City Mountain Resort (PCMR) and Canyons are only 7 miles apart, and both are on the Epic Pass™. 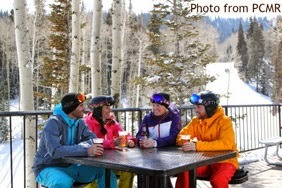 Buy your pass or lift ticket and ski both resorts in one day, or switch off during your stay. 2. Don’t get overcrowded. During the busiest ski days, Deer Valley® Resort actually limits the number of tickets they sell to prevent congestion at lift lines. It’s still busy on the slopes, but lift wait times are typically shorter than other resorts on the busiest days. 3. Visit a ski-in/ski-out distillery. PCMR is the only U.S. resort with access to a ski-in/ski-out whiskey distillery. Take the Town Lift to High West Distillery and sample fine food and drinks from Utah’s own distillery. Then hop back on the lifts to finish up the day. 4. 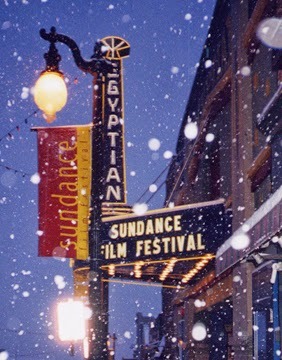 Sundance Film Festival is the best time to ski. While the town is full of celebrities, film-goers, and people-watchers, the slopes are less crowded. Keep in mind lodging sells out quickly for this time period, so if you can book early enough, you may have the mountain to yourself! 5. There is a ton to do. People forget about the neighboring towns of Heber, Kamas and Midway, all within 20 minutes of Park City. They offer sleigh rides, cross-country skiing, snow tubing, snowmobiling, snowshoe tours, natural hot springs, and more. Stay in Park City and get access to all kinds of activities just a quick drive from town and experience the Wasatch Mountain range. 6. Kimball Junction is the new Old Town. Located just north of Downtown Park City and easily accessed from Salt Lake City, Kimball Junction is growing in popularity. It’s home to many restaurant options from casual to fine dining, boutique shops, popular national stores and an outlet mall. It’s only a few minutes outside of town and there’s free parking. 7. You don’t have to stay at the 5-star hotels to use their amenities. Montage Deer Valley has a bowling alley, a 5,000-square-foot spa, restaurants, and live music that anyone can access. Purchase a day pass for a spa treatment, dine at Apex and then play a couple frames in the bowling alley. At the St. Regis, ride the fernicular and take in their daily sunset champagne sabering ceremony—it’s free! 8. Ski outside the resorts. Park City has miles of groomed Nordic trails and several outfitting companies that will hook you up with gear. Take a trip into the backcountry with Park City Powder Cats or Powderbirds Heli Ski guides. 9. Utah is home to 15 ski resorts! Ski a variety of trails and terrain. 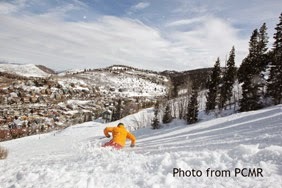 From Park City, 10 of Utah’s resorts are located within an hour’s drive. 10. Park City’s Olympic History is alive and well. In the 2014 Sochi Olympics, 55 of the U.S. athletes had ties to Park City. For visitors interested in the state’s athletic history, the Utah Olympic Park is open to the public with the Alf Engen Ski Museum and events including Olympic and World Cup trials. You can even ride a bobsled down a portion of the actual Olympic course. 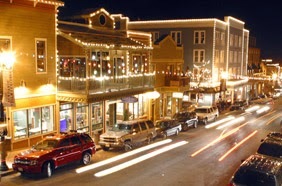 Park City is also home to the U.S. Ski and Snowboard Association (USSA) and the Center of Excellence (usually closed to the public) where athletes from across the country and across the world come to train for the Olympics.